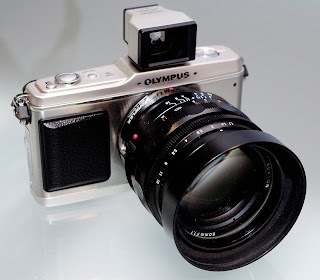 Finally decided that I wanted an Olympus E-P1 more than I wanted a Leica M9. May seem strange but I realised that whenever I took it anywhere I would be wanting to wrap it in cotton wool & would probably run and hide whenever anybody looked at it twice! I did feel a little this way carrying a D3X around. 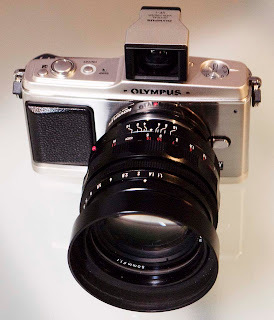 This feeling was added to with my idiocy in smashing my Leica M8 screen. I've actually never damaged a camera this badly before. The E-P1 looks great. If some sunshine appears I'll check out its picture taking capabilities. Update:- Two days later and I still haven't cancelled my M9 order! The things we tell ourselves. Further Update:- The comment by obakesan is quite right. I haven't cancelled the order.